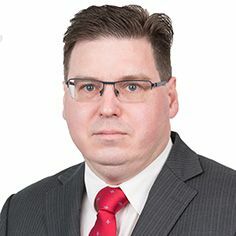 Andrew has acted in a substantial number of successful complex litigious matters in various State and Federal Courts and he has acted and advised clients across a wide range of industries and professions including building and construction, engineering, defence and professional practice. He is a founder and current Director of the Society of Construction Law Australia. He has advised on various aspects of construction contracts, both front end and back end, and advised on construction adjudication claims in several States. Andrew is skilled in resolving disputes using alternative dispute resolution (ADR). He is qualified in mediation and arbitration (domestic and international), was a National Councillor and National Treasurer of the Institute of Arbitrator and Mediators and is the Treasurer of the South Australian Chapter. Andrew is a Fellow of the Australian Centre for International Commercial Arbitration, the Institute of Arbitrator and Mediators Australia and the Chartered Institute of Arbitrators. He is a member of the LAWASIA ADR and Litigation Committee and the ADR Committee of the Law Society of South Australia. Andrew is also a qualified accountant (Fellow of CPA Australia). He co-chairs the International Legal Practice Committee of the Law Society of South Australia.